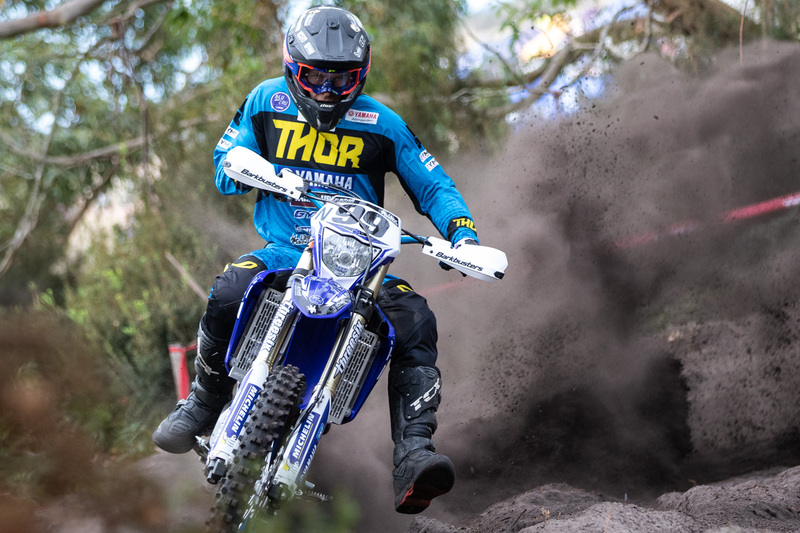 Following on from an exhilarating 2018 season, the Yamaha Australian Off-Road Championship (AORC) returns this weekend for Rounds 1 & 2 in Toowoomba, Queensland. With legendary talent returning to the AORC fold and reigning 2018 Champions venturing into different classes, the 2019 season is expected to lift the bar higher than ever before. 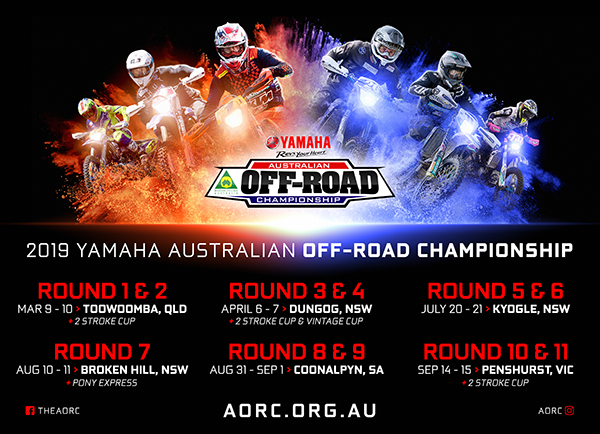 With 10 coveted Championship titles up for grabs, the 2019 AORC season will leave you breathless as Australia’s best Enduro competitors prove time and time again why the ‘land down under’ remains a major contender on the world stage. Reigning 2018 E1 Champion, Luke Styke (Active8 Yamaha Yamalube), has confirmed that he is in fine form ahead of this weekend’s opening rounds. A rookie to the Enduro discipline last year, Styke now has one year and a Championship title under his belt, so expect him to be a regular at the front of the pack! Returning to the AORC scene after a prestigious history at the Enduro GP is Matthew Phillips (MX Store, KTM). Landing back ‘down under’ after an injury overseas, Phillips will make his return to his beloved Off-Road racing in the E1 class. Keep your eyes peeled for the weekend’s daily race reports to see how Phillips measures up. Finishing in second behind Styke in 2018 was Fraser Higlett (Husqvarna Enduro Racing Team), who will no doubt come into Rounds 1 and 2 with a point to prove. With his experience over in Chile with Team Australia at the 2018 FIM International Six Days Enduro (ISDE), Higlett is one to keep an eye out for. Lyndon Snodgrass (KTM Enduro Racing Team), moves to the E1 class after a very successful 2017 and 2018 season. Competitive in nature, Snodgrass will be a major contender every round as he fights for the top podium position. Active8 Yamaha Yamalube competitor Michael Driscoll will move across to the E1 class, after taking out the EJ Championship title in 2018! Highly competitive, Driscoll is one to keep an eye throughout the season. 2018 E3 Champion Daniel Milner (KTM Enduro Racing Team) will move across to the E2 class this season, enjoying the smaller bike on the harsh Australian terrain. Riding upon his successes from 2018, Milner is expected to lead the pack when the Championship commences this weekend, so keep an eye on him! Returning once again after finishing the 2018 season in fourth place in the E1 class is Jeremy Carpentier (Yamaha MX Store Ballards Off-Road Team). The Frenchman used last year to gain control of the Australian terrain and will come into the new 2019 season with a newfound confidence. Joshua Green (Active8 Yamaha Yamalube), who finished the 2018 season in third place, looks to be in fine form for 2019! Regularly landing some of the fastest times, Green is one to watch if you can keep your eye on him. Like Milner, Broc Grabham has moved across from the E3 class and will be another major contender for podium real estate as the season progresses after finishing behind Milner in third place for 2018. 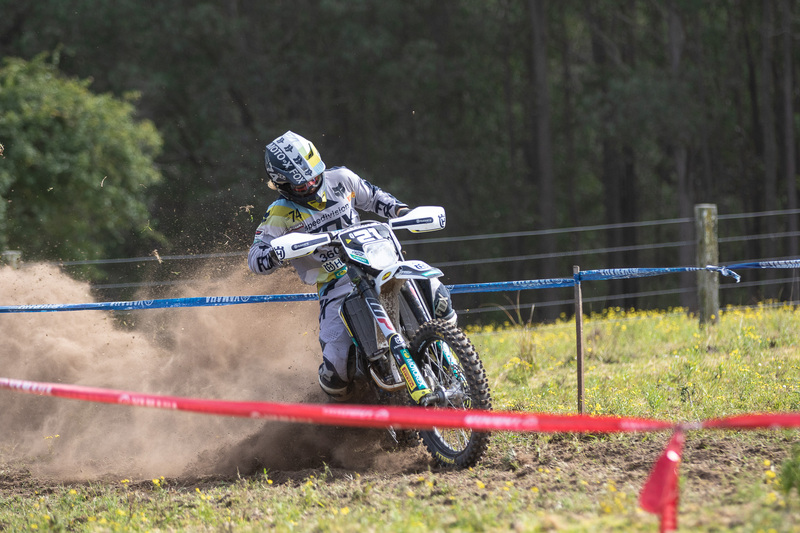 Moving on up to a bigger bike this season after taking out the E2 crown in 2018 is Daniel Sanders (Husqvarna Enduro Racing Team). After a fantastic 2018 which included being a member of the victorious Australian World Trophy Team at the ISDE, Sanders is back for 2019 with a new title to contend for! 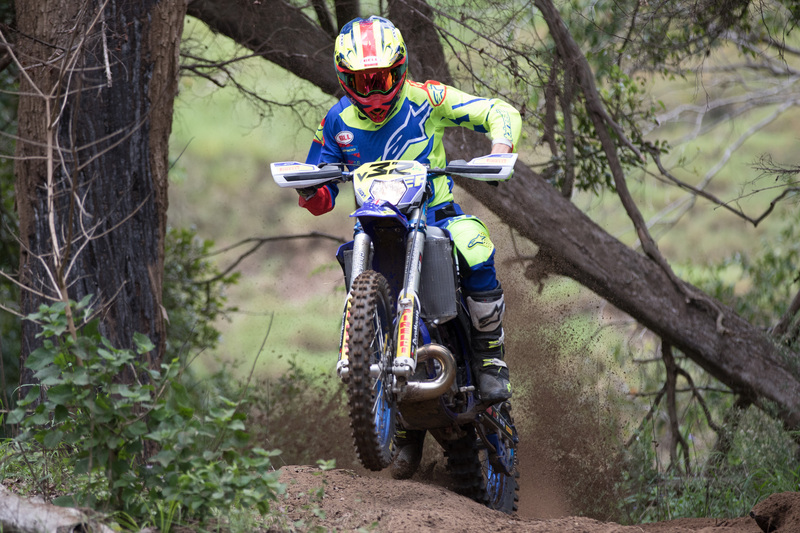 Finishing fourth in 2018 for AORC and chosen as a member of the 2018 ISDE Australian Junior World Trophy Team, Andy Wilksch (Motul Pirelli Sherco Team) is sure to feature regularly on the 2019 E3 podium. Beau Ralston is back in 2019 after a difficult few seasons in AORC. Ralston, aboard a new Husqvarna bike, will move back up to a bigger bike where he seems most comfortable. With a fire in his belly, Ralston is sure to be a major contender this year as he goes up against the likes of Sanders and Wilksch. Another competitor from Western Australia is Jesse Lawton, who returns to the 2019 AORC season after finishing last year in sixth place. A highly competitive rider, Lawton is expected to be a major contender for podium time this season, so keep your eyes on him. After an impressive 2018 season, Kyron Bacon (MX Store, KTM) will jump up into the senior classes for 2019 as he competes in the EJ class. Bacon, who has been training with Enduro GP legend Matthew Phillips over the off season, has been coined as a title contender for 2019! 2018 J4 Champion, Korey McMahon, will also move into the EJ class this season alongside Bacon. With a Championship title to his name and a wealth of experience in both Motocross and Enduro, McMahon is a major contender this season. Returning to the EJ class for 2019 after finishing last season in second place is Joshua Brierley. With the 2018 EJ Champion moving on up to a bigger bike this season, Brierley is the new favourite to take out the 2019 title. KTM mounted Corey Hammond returns to the EJ class in 2019. After a strong 2018 season finishing in third place, Hammond is another fan favourite for the top spot this year, so be sure so keep an eye on him.